One of the most confusing things about steak is learning what the different cuts are, what makes them unique, and where they come from on an animal. When you throw in a cut of steak that gets referred to by several different names, the confusion factor goes through the roof. Here at Chicago Steak Company, we utilize our Steak University articles to help put the puzzle pieces together so that you know what types of steak you’re dealing with. Which brings us to our article today on the cowboy steak. You may not have ever heard of a cowboy cut steak, or you might have heard it also called the ribeye or tomahawk steak. 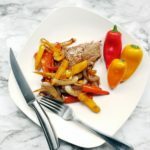 We’re here to clear the air and clue you in on this delectable steak cut and how it differs from your other favorites. Before you get too confused, we’ll come right out and say it: the cowboy steak is technically a bone-in ribeye. There are several names for it, including cowboy New York steak, tomahawk steak, Delmonico, or even “rugged cowboy.” Whatever name you decide to give it, we like to go with the cowboy or tomahawk steak. There’s no definitive answer as to where this cut got its name from, but one thing is for sure: cowboy steaks are huge! It’s not uncommon to be able to order this cut in anywhere from an 18 oz to 32 oz steak. We can assume that this rugged name came from the equally rugged hunk of steak you’ll get when you order a cowboy steak cut from your butcher or a local restaurant. It’s manly and rugged, much like a cowboy. Cowboy cuts, since they’re part of the ribeye cut, also come from the rib section of the animal. What makes it different from a ribeye, though, is that it will come with about five or six inches of the rib bones still attached. This resulting look, many say, is why it’s also sometimes referred to as the tomahawk steak. 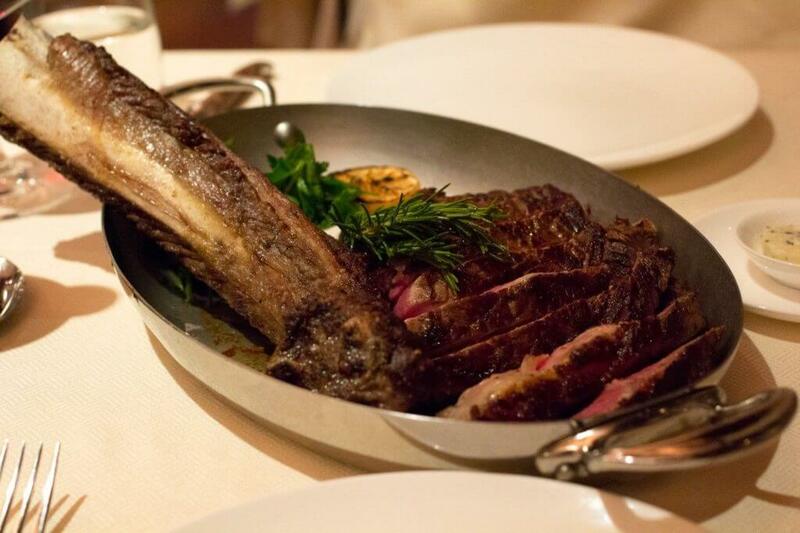 The bones don’t necessarily make the steak taste any different, but a 32 oz tomahawk steak surely does look appealing. First, be sure to let your steaks come to room temperature (usually about 30 minutes or so) before cooking. Season your steaks before placing them on the grill. You might want to try our Chicago Steak Seasoning for the perfect flavor mixture. Place your steaks directly over the hottest part of the grill, allowing them to sear on each side for about seven to ten minutes. Once seared, move your cowboy steaks to lower heat to allow them to finish cooking through. This process will take between 11-15 minutes on each side. For a medium-rare cook, don’t cook any more than 130-degrees internally using a meat thermometer. Remove steaks from the grill and allow to rest for 5-10 minutes. Enjoy! Conclusion: Tomahawk Steaks for Sale at Chicago Steak Company! If you can’t wait to get your hands on a cowboy, or tomahawk, steak, then you’re in luck. You can find our Premium Angus Beef, dry-aged Chicago Steak Company Style, tomahawk ribeyes on our website. 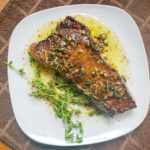 If you want to check out some of our steak and sides recipes, don’t forget to head over to Steak University to find some of our most popular cooking methods and recipes. Enjoy! Prev What Are the Most Expensive Steak Cuts?